Jessica Avery had been looking to transfer her fourth-grade daughter to a new school when the flyer from Sonoran Science Academy arrived in the mail. At the time around two years ago, Avery was unhappy with her daughter’s Tucson charter school. She found the administration to be standoffish and unhelpful. The advertisement promoting Sonoran Science Academy, a publicly funded Arizona K-12 charter network with a focus on science and technology, seemed like the perfect fit for her kids. Their family has always tried to give the kids an extra push academically, Avery said. The warm welcome they received while visiting the Sonoran Science Academy campus on the east side of Tucson, north of Davis-Monthan Air Force Base, helped seal the decision. “Touring the school, when they talked about community, and how the teachers interacted with the parents, we were just like, ‘This is it. This is our new home,’” Avery said. She transferred their daughter immediately, midway through her fourth-grade year. Their son joined the school later, once the school had an opening. Never have we in 10+ years heard of any student being on a so-called waiting list longer than a few months. But when they joined the charter school, some things struck Avery as odd: There were lots of Turkish teachers and staff. Also puzzling was the school’s offering of a Turkish-language class. Her daughter wanted to learn Spanish, but the class was full, so she was placed in the Turkish course. “My daughter thought, okay, this is weird — completely different, you know?” Avery said. “But I think it’s just a great opportunity to learn that.” Why is it an opportunity to learn that- Because they told you so? Do you know what a Janissary is? The Turkish-ness of Sonoran Science Academy might seem like a peculiar coincidence. Yet when Avery walked into Sonoran Science Academy two years ago, experts say, she had unwittingly stumbled into a conflict in Turkey that can be mystifying to the average American. Sonoran Science Academy - Tucson. The first Sonoran Schools charter school opened in Tucson in 2001. 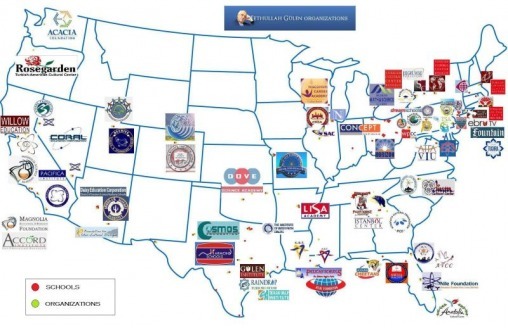 Additionally these Gulen operated schools on the West Coast have the same connections to Accord Insitute (Accord Education) except for the California Magnolia Schools which where ordered by the judge to sever ties with them. Their non profit Dialogue and "political group" which Oskur Yildez is ahead of called West Turkic American Council he is also the point person contract person for Daisy Education. Here is Oskur teaching a class IN CALIFORNIA to Magnolia Students on Turkish Culture and Oskur Yildez has also LOBBIED with Gulen Pacifica Insitute to gain a school in Hawaii on Mokapu Air Force base after he withdrew the application with Daisy Education on it first. There are thought to be more than 150 schools affiliated with Gulen in the U.S., and thousands across the globe. The movement is under increased pressure since the turbulent days after the attempted coup in Turkey. The Turkish government has carried out a sweeping purge of academics, journalists, judges, and military officers thought to be members of the Gulen movement — no matter how tenuous the evidence — in a roundup that continues even now. 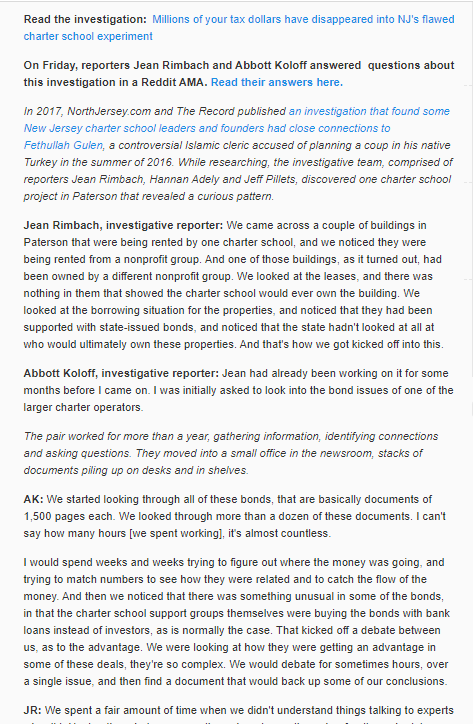 Robert Amsterdam, a bulldog international lawyer retained by the Turkish government to investigate the Gulen movement-links of U.S. charter schools, said that exhaustive research by his firm has defined the ties between the schools and the Gulen network. Repeating the Turkish government’s line, Amsterdam argues that the Gulen movement was clearly behind the failed coup. Around noon on a recent Tuesday, kids milled around a courtyard as a secretary commanded all middle-schoolers to gather for an assembly over the P.A. system. With such an ordinary school atmosphere, Sonoran Schools poses a question for parents and education experts: Does it matterif a charter school might be affiliated with a Turkish religious movement if students are receiving a high-quality STEM education? Parents and alumni seem to be happy. Avery’s daughter, Bella, is now in sixth grade at Sonoran Science Academy – East, and her son, Logan, is in second grade. There has been no sign of Turkish influence or religious messages in the curriculum, aside from the language course, she said. As of this fall, Avery is the vice president of the Parent Teacher Organization for SSA – East. The Gulen movement was totally unknown to her, Avery said. Turkish language is taught at four of the Sonoran Schools campuses, according to the administration. It’s the only other language offered widely in addition to Spanish, which is taught at all schools. One school offers American Sign Language. “Turkish was identified in the National Security Language Initiative program as one of several ‘critical need’ foreign languages for U.S. students,” Sonoran Schools said in a statement.click here for more on NSLI "one of several "critical need" foreign languages" The program will not be offered the 2018-2019 academic year, we can only guess because the Gulen Movement is not allowed to step foot into Turkey. Even so, apart from the Turkish language class, the schools have introduced students to a group of dedicated Turkish educators and administrators. Michelle Marquez, 22, is a 2014 graduate of SSA – Tucson, where she now works as a long-term substitute kindergarten teacher. She’s currently pursuing a graduate degree at the University of Arizona.Before Marquez started attending Sonoran Schools, she couldn’t remember meeting someone from Turkey. One of the reasons the Gulen Movement likes to focus on low income, high Hispanic & Black neighborhoods, they know nothing of the History of Turkey and its persecution of Minority Christians, Kurds etc., Or their political make up which the Gulen Movement formed the last 20 years including putting AKP party and Erdogan into office. The other advantage of ignorance is the Gulenists know they get extra title I-V money for ESL, low income and can start businesses that get contracts from their schools. “I’ve learned to appreciate the culture that they bring to the school,” she said. “It’s not like they enforce anything on us or teach us about anything foreign. But when you have foreign teachers, you learn things from them. Just like you learn things from any teacher that you have — what they celebrate, what they like to do, how they live their life.” Did they pay her college tuition at University of Arizona? Ms. Marquez you need to know what it is to be an American, this school is funded by American tax dollars. Asked about the Gulen movement, with its mysterious Muslim preacher in exile and the alleged ties to her alma mater, Marquez started laughing as if in disbelief. “I have never heard of this ever,” she said. Just they way they want them clueless and not asking ANY QUESTIONS. We have had parents of past students tell us that there are no names on these "Trophies"
furthermore most are awared at Gulen Charter School sponsored events: I Sweep, Math Matters, Science Olympaid, Turkish Olympiad, STEM EXPO, and it's the same presentations used at all the schools. The political intrigue surrounding the Gulen movement is a story dating back to the creation of the Turkish republic nearly 100 years ago. Modern Turkey was born from the ruins of the Ottoman Empire, which collapsed in defeat to the Allies during World War I, and a war for Turkish independence led by Mustafa Kemal Ataturk. As the nation’s founder and first president, Ataturk sought to bury the imperialist sultanate that preceded him, curtail the Islamic religious sphere through Western-style secularist reforms, and reshape government and public life. The Arabic-style alphabet was officially abandoned. Imams became state employees, part of a newly created bureaucracy, the Directorate of Religious Affairs. When the secular republic in Turkey was less than two decades old, Gulen was born in a village in rural eastern Turkey. Among the many mysteries surrounding the cleric is his age. His official birthdate is 1941, but he was probably born a few years before that, making Gulen roughly 80 years old. Confusion over Gulen’s birthday was supposedly due to a dispute between the registration official and Gulen’s father, which left the future religious leader unregistered with the state. In most images, Gulen seems weary. The corners of his mouth are often downturned. He has liver spots and a white mustache, and usually wears a dark blazer with no tie. In some photos, he can be seen in the traditional knit cap worn by devout Muslim men. If you encountered Gulen amid daily life, he could be any elderly man sipping tea or waiting for the bus — hardly the inspiring figure admired by a legion of followers, or the villain regarded by the Turkish government as a megalomaniac. A source of inspiration for Gulen was the influential 20th-century Islamic scholar Said Nursi, who believed that Islamic tenets and a modern scientific education could coexist and support each another. After taking the position of imam in the bustling city of Izmir on the Aegean Sea in 1966, Gulen gained a devoted following as he urged the pious to improve society through education. Inspired by his message, during the subsequent decades, Gulen’s followers established schools, test-prep centers, and universities in Turkey and abroad. They also built media organizations, charitable organizations, banks, and other business ventures. All of this served to create a network of like-minded people while enhancing the reputation of Gulen, the charismatic leader who inspired such efforts. Eventually, Gulen’s following would grow to include millions worldwide. “He’s viewed as tremendously wise, as the examples or legitimacy of his wisdom is exemplified in the success of the organizations,” said Joshua Hendrick, an associate professor of sociology and global studies at Loyola University Maryland and the author of Gulen: The Ambiguous Politics of Market Islam in Turkey and the World. But experts on Turkish politics say that Gulen’s world network is actually concerned with acquiring power through loyal followers and a secretive organizational structure that resembles a cult. Power and Money are key for the movement. The Gulen movement has unique Turkish and Islamic roots, but it can be compared to the Moral Majority, Hendrick said, with its social-change agenda and a special focus on education and media. He likened its organizational discipline to that of the Mormon church. Hendrick was immersed in ethnographic fieldwork in Turkey for more than a year, where he examined the institutions of the movement, sometimes taking many months to gain access to Gulen sympathizers inside banks, media outlets, and companies. Despite claims that the movement is apart from party politics, a central goal of the movement is “social power, very broadly defined,” Hendrick said, “Not just political power, not just economic power, but power defined as the ability to both cultivate and wield influence.” Sugar coating it Hendricks it's called "Ultimate Power" of Soft power and hard power : Education, Politics, Religion, Businesses, Banking, etc., Wherever they go they try to tap into local real estate deals, and corning the worlds resources Gold in Ghana, Heroin in Afghanistan, Textiles in Ethiopia, Oil in Azerbaijan, in California they have tried to wrap themselves within Silcon Valley Tech Industry, In Idaho and in Pittsburg they are in the Dairy Yogurt business Chobani Yogurt, Amish Naturlich Yogurt. Paragon Science Academy in Chandler. The year after he arrived in the U.S., a Turkish prosecutor charged Gulen in absentia with conspiracy to overthrow the government. He was later acquitted. The same year that Gulen arrived in the U.S., the Daisy Education Corporation registered as a nonprofit. The first iteration of Sonoran Science Academy opened its doors in Tucson two years later. Meanwhile, in Turkey, Erdogan’s conservative, Islamist-oriented Justice and Development Party (AKP) swept into power with a landmark victory in the 2002 elections. Erdogan and his political acolytes in the AKP had shared interests with members of the Gulen movement — namely, dismantling the influence of the secular military leaders over Turkish politics. The two groups were aligned for the first decade that the AKP was in power. The Turkish military periodically carried out coups in defense of the nation’s secularist principles established by Ataturk. During his political ascent, the military was wary of Erdogan, the former mayor of Istanbul who was previously jailed for several months for reciting an Islamic-tinged poem at a 1997 rally. But Erdogan had a powerful ally in the Gulen movement. By this time, most observers concluded that many striving Gulenists, taking inspiration from Gulen’s sermons, had climbed to a variety of powerful positions within the state.Beginning in 2007, Gulenists in the judiciary and police pursued members of the military in a series of byzantine investigations, which left the generals and the military severely weakened, the New Yorker reported. Some were given life sentences, accused of membership in a “deep state” organization seeking to destabilize the government. But around 2013, then-Prime Minister Erdogan and the Gulen movement turned on each other. Exactly why the alliance broke down is unclear — the impending closure of Gulen’s test-prep schools likely contributed to the feud, not to mention the defeat of a common enemy in the secularist generals. On the evening of July 15, 2016, the first sign of the chaos to come was when the military blocked the Bosphorus Bridge. Soldiers and trucks unexpectedly stopped traffic on the enormous suspension bridge, one of several routes across the churning waters of the Bosphorus, the waterway that separates Europe from Asia and connects the Black Sea to the Mediterranean. It was a Friday evening in Istanbul, and the city of some 15 million people pulsed with energy. Tanks and gunfire were about to shatter their night out.During the hours that followed, Turkey plunged into terror as a faction of the military attempted to wrest control of the government in a coup d’etat. The Parliament building in the capital city of Ankara was bombed. Sonic booms from low-flying jets rattled windows. President Erdogan narrowly escaped capture by rebels in Marmaris, a coastal vacation town to the south. In a surreal moment, Erdogan called into the Turkish CNN station through the FaceTime app on an iPhone, which the anchor held up to the cameras. The president exhorted Turkish citizens to take to the streets to protest the coup. Although some 250 people were killed, the plotters faltered. Their plans appeared to be hastily laid and were marred by critical errors, and soon, the coup was unraveling, hampered by civilian protest. By sunrise, the military coup had failed, and thousands of rebel soldiers were taken into custody. When he arrived at Istanbul’s airport during the early hours of the morning, Erdogan left no doubt about the forces behind the coup. The soldiers were being directed from Pennsylvania, Erdogan said, implying that Gulen’s followers were responsible. Y. Alp Aslandogan, the executive director of the most prominent Gulen-affiliated nonprofit in the U.S.
Gulen lives at an isolated compound in rural Saylorsburg, Pennsylvania. Known as the Golden Generation Worship and Retreat Center, the 25-acre property includes several plain, unadorned houses, a community center, a mosque, and a security gate, all surrounded by woods. Gulen, who is unmarried, gives sermons to visitors typically twice a week when they visit the center for prayer or meditation, but he seldom grants interviews. He said that he was not personally familiar with the people working for Sonoran Schools. “It’s not that I’m trying to hide anything. I just don’t know the people involved,” he said. At the same time, Aslandogan argued that if people working for the charter network are Gulen sympathizers, they probably believe in serving their community through education. “In that sense, at the personal, spiritual level, or philosophical level, you might say they have a personal link,” Aslandogan said. “I don’t see any problem with that.” you don't see any problem with lying? He suggested that the fault is with people probing ties to the Gulen movement who ask vague questions. “‘Is your school linked to the movement?’ That is an ambiguous statement. If they ask, ‘Are you personally inspired by the movement or Mr. Gulen?’ That’s easier, this person can say, ‘Yes, I am personally inspired,’ or not,” Aslandogan said. “I think people are trying to avoid ambiguity,” he added. Side stepping is what you do, just answer the question yes or no, you are either part of the Gulen Movement or you are not. Why so ashamed to admit what is obvious. 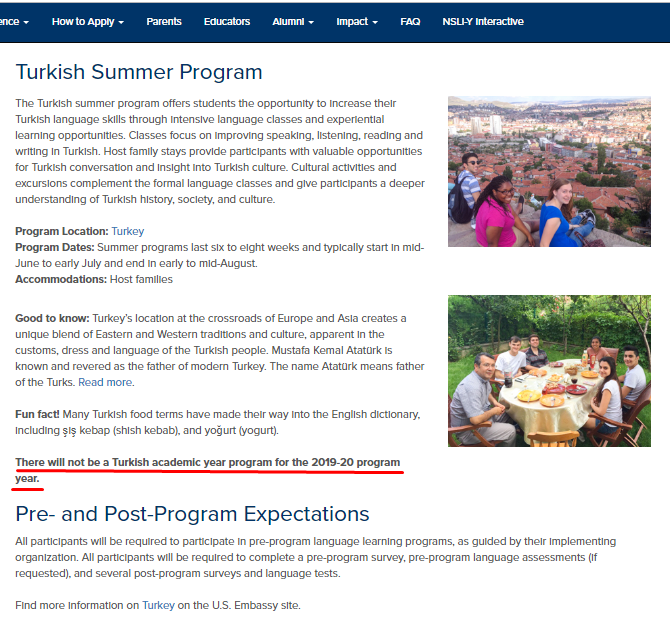 This is why Americans are not comfortable with Gulen Movement teaching their children, it's your lying and hiding the obvious. Members of the Gulen movement who have gravitated toward establishing public charter schools, Aslandogan suggested, have done so to serve disadvantaged kids who might not be able to afford a high-quality private school education. Here Alp weakly admits the schools are part of the Gulen Movement. The entrance to Sonoran Science Academy - Phoenix. Shortly after the one-year anniversary of the failed coup in Turkey, Arizona Governor Doug Ducey paid a visit to Sonoran Schools. When he arrived at the campus of Sonoran Science Academy – Tucson on August 21, 2017, two Turkish administrators greeted him. Fatih Karatas, the charter network’s chief executive, wore a colorful tie covered with molecules and a twisting helix. Karatas was joined by Adnan Doyuran, the Sonoran Schools associate superintendent and principal of the middle and high school. Balding with glasses, Doyuran has a Ph.D in physics from Stony Brook University and happens to be an expert on particle acceleration and free-electron lasers. 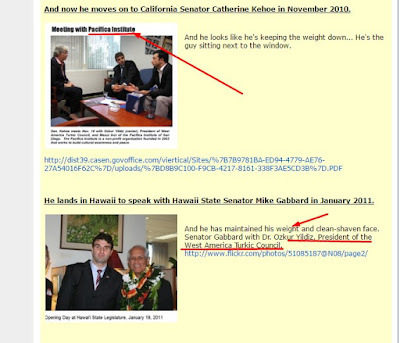 He shook hands with Ducey. Ducey is a school-choice advocate, making Sonoran Science Academy a natural pick for a visit from the governor during a back-to-school tour. In a promotional video produced by Sonoran Schools, the governor praised the school’s award-winning robotics program, and marveled at a demonstration of a championship robot. Like any visit from an elected official, the tour was a clear badge of approval. Karatas and Doyuran are part of the unusual number of Turkish staffers who work for the charter network and serve on the governing board of the charter holder, Daisy Education Corporation. Out of a dozen top administrators of Sonoran Schools, four of them are apparently Turkish: CEO Fatih Karatas, associate superintendent Adnan Doyuran, CFO Tuncay Celik, and curriculum director Tolga Ozel. 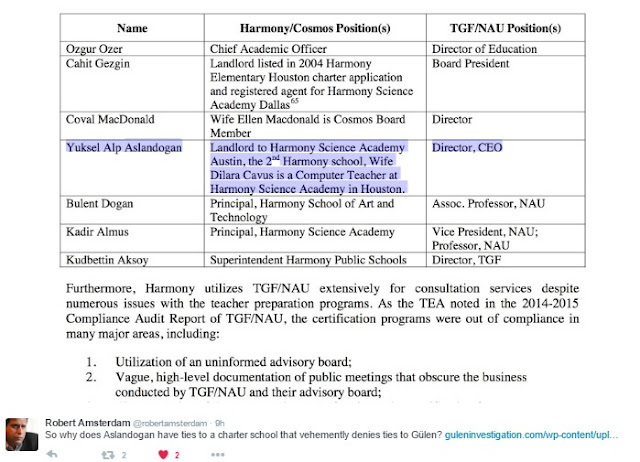 (Like other Sonoran Schools staffers, at least Doyuran and Ozel were educated in Turkey.) And like other alleged Gulen-affiliated schools in the U.S., Sonoran Schools appears to rely heavily on specialty-worker visas to recruit employees from overseas. The Daisy Education Corporation has received certification for at least 149 H-1B visas since 2009, according to data from the U.S. Department of Labor. Of these labor condition applications submitted for nonimmigrant workers, 68 have been for new employment, as opposed to a change in employer or the continuation of previously approved employment. Not every certification for an H-1B visa by the federal government means that a foreign worker was hired, but the number of H-1B applications by the chain may be even higher because of variations on the name of the charter school listed as the visa sponsor. 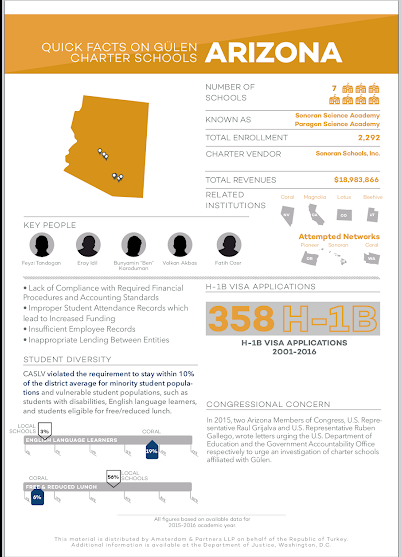 Other traditional and charter schools don’t approach Sonoran Schools’ use of H-1B visas. Another recognizable and rigorous charter network based in Arizona, Great Hearts Academies, has received certification for H-1B visas on just three occasions during the same time period. Even the Phoenix Union High School District, with a student population over 10 times the size of Sonoran Schools, has received only 46 H-1B visa certifications over the last decade, less than a third of Sonoran Schools’ total. In addition to the H-1B visas sought by the network, Sonoran Schools has applied for permanent labor certification on at least 14 occasions over the last decade. According to federal data, the Daisy Education Corporation has sought to certify for green card status mostly employees from Turkey, except for two people from Turkmenistan and one from Kyrgyzstan. The charter network said that only three staff members out of 254 are on H-1B visas, and added that multiple labor condition applications (LCAs) are filed for the same position, or are filed when an employee changes jobs. “The gross number of approved LCAs is always higher, sometimes by a significant factor, than the actual number of workers who work at an employer in H-1B work status, based on an approved LCA,” Sonoran Schools said.At the same time, paradoxically, Sonoran Schools argued that a drought in qualified educators has forced them to use the H-1B program. Experts on the Gulen movement say affiliated charter schools seem to have another vested interest: recruiting fellow members of the movement from Turkey. Phoenix New Times reviewed the publicly available resumes on file at all six Sonoran Schools academies for the 2018-19 school year. Among those employees, 31 staffers hail from Turkey, three from Kyrgyzstan, and one from Turkmenistan. With the exception of SSA – Davis-Monthan, at every Sonoran Schools academy, either the principal or vice principal is Turkish. At the Chandler academy, at least 10 employees are of Turkish origin based on their names and educational history in the country. (Sonoran Schools could not say how many staffers hold Turkish citizenship.) Kyrgyzstan is a Turkic country, where the Gulen Movement has schools which have not been shuttered "yet", Turkmenistan is also a Turkic country and their Gulen Schools have been shuttered. Several of the Turkish teachers and administrators have connections to other alleged Gulen schools and institutions. Doyuran, who serves as the principal of SSA – Tucson’s middle and high school, previously worked at the Lotus School for Excellence in Colorado from 2008 to 2013, according to his resume. Before that, he served as dean of academics and physics teacher at Magnolia Science Academy in California. 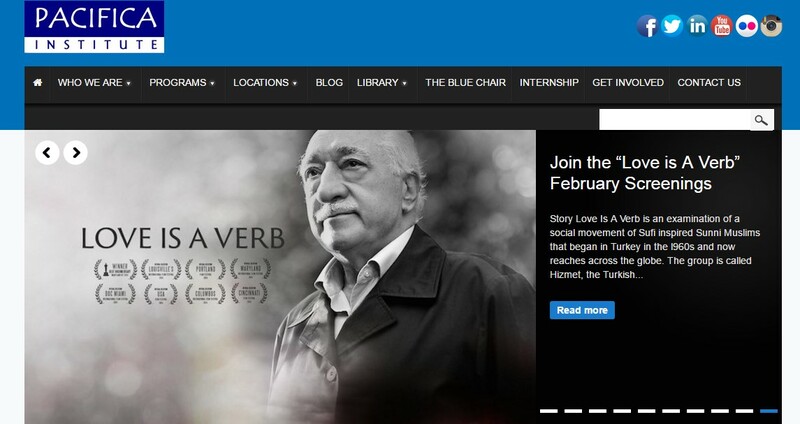 Researchers suggest both charter organizations are linked to the Gulen movement. The dean of academics at SSA – Tucson, Recai Yilmaz, worked for the Magnolia charter network and the Coral Academy of Science in Las Vegas. Many current Sonoran Schools employees worked at Magnolia Science Academy schools before moving to Arizona. Recently, the California charter network of 10 science-and-technology-focused schools was rattled by audits that questioned financial practices and the hiring of Turkish staff from abroad, and two years ago, the Los Angeles Unified School District voted to close three Magnolia schools. However, the decision was overturned on appeal by the board of the L.A. County Office of Education. In 2010, then-Sonoran Schools superintendent Ozkur Yildiz denied any institutional affiliation with the Gulen movement in response to questions from the Tucson Daily Star, but he acknowledged that he was personally familiar with Gulen. Some Turkish teachers may be “inspired” by the religious leader, he said, given the preacher’s notoriety in Turkey. More on Ozkur Yildiz CLICK HERE Like other public charter schools in Arizona, Sonoran Schools is free to attend; the network receives funding from the state on a per-student basis. In 2018, the six Sonoran Schools academies received a total of $16,171,980 in funding from Arizona and $2,397,948 from the federal government. But the presence of Gulen-affiliated charter schools in the U.S. charter sector has contributed to swirling allegations, some conveyed through whistleblowers discovered by Amsterdam, regarding a kind of tithing that takes place using publicly funded salaries. According to Hendrick, members of the Gulen movement, including teachers at Gulen-affiliated charter schools, give a portion of their income, known as himmet, back to the Gulen movement, usually cultivated via a regional arm of the network such as an interfaith dialogue nonprofit or an educational consulting firm. “Because it’s under the table, because it’s somebody’s personal choice or framed as such, it’s very difficult to pin down anything nefarious,” Hendrick said. “But again, I will say this: If you’re a member of the Gulen movement, you give himmet. That is in fact an identifying characteristic of being a member of the Gulen movement.”Sonoran Schools denied that any employees are asked to or required to give money to the Gulen movement. “DEC does not inquire about or track and has no interest in an employee’s personal beliefs or views,” the charter school said. “It does not ask, encourage or require its employees to provide monetary or other support to any entity, nor has it ever done so.” if "DEC does not inquire about or track and has no interest in an employee's personal believes or views" WHY would you only hire Gulenists from abroad? You cannot even lie good. You have been taught to lie at an early age in the Gulen boarding houses, you cheat to get ahead, and were giving all the Gulen students the entrance exams for the police academy so you could infiltrate the police system. Left: Fatih Karatas, the CEO of Sonoran Schools, at a December 6 governing board meeting for the charter network. To the right is Tuncay Celik, the charter network's CFO. OUSD officials are investigating numerous questionable purchases made using the Bay Area Technology School's credit card, according to a notice of concern sent by the district to the charter school. The newly revealed allegations are part of a broader investigation by OUSD into financial mismanagement at the school and include accusations by BayTech's three current board members against the school's former principal that he fraudulently altered his employment contract. The former principal, Hayri Hatipoglu, has accused the school's board of defaming him. The review of the school's credit card spending was revealed in a July 12 notice of concern sent by OUSD's charter schools oversight office to BayTech's leaders. The district also wrote that BayTech has a system of "inadequate financial checks and balances." OUSD flagged purchases from Netflix, Amazon, and numerous expensive restaurant bills as cause for concern. It's unclear if the purchases had any legitimate educational purpose. The district also found $6,800 in payments to Commodore Cruises and Events, an Alameda-based cruise ship operator. BayTech's credit card was also used to purchase $2,919 in Disneyland tickets. The school paid for hotels and plane tickets for staff to travel to Southern California, Arizona, Utah, and Texas. Copies of BayTech's credit card statements from 2016 and 2017 obtained by the Express through a California Public Records Act request show that the school paid $2,655 to an upscale Oakland pizzeria over a two-year period. The school's Wells Fargo credit card was also used to pay for six separate meals at Scott's Seafood in Oakland costing a total of $4,453. Last year, the school's credit card was used to buy $32,698 in Apple electronics. According to former school staff who spoke with the Express on the condition of anonymity, some Apple products were given to staff as thank-you gifts and not used for official school purposes. 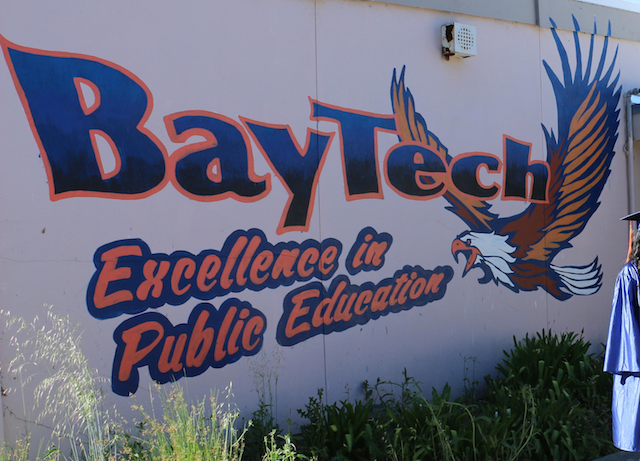 The district is currently investigating the school for financial mismanagement, and BayTech's board has also hired an independent firm, Oracle Investigations, to review allegations of embezzlement and fraud. Hayri Hatipoglu said the charter school is a moneymaker for the shadowy Turkish political force led by Fethullah Gülen. In recent weeks, Oakland's Bay Area Technology School has become the center of a management crisis and accusations of fraud. Now, the school's former principal, Hayri Hatipoglu, alleges that the embattled charter school was used to bankroll a religious and political movement that was accused by Turkey's Prime Minister Recep Tayyip Erdogan of participating in an attempted 2016 coup. In an interview with the Express last week, Hatipoglu said employees of the school — many of them Turkish immigrants — handed over thousands of dollars from their own salaries for the cause in exchange for the H-1B visas allowing them to work in the United States. Hatipoglu said he resigned and left for Australia, where he is a citizen. He said he no longer wanted to allow the Gülen movement to exploit the school. And he said the allegations of fraud against him by BayTech's board of directors are false. The Oakland Unified School District is currently investigating Hatipoglu for possibly embezzling thousands of dollars from the school by using its credit card to make unauthorized purchases, and for allegedly altering his employment contract without the board's knowledge. Hatipoglu's employment contract provided him with a fixed three-year term of employment. The contract stipulated that if he was terminated, or quit, without cause, the school would owe him the remaining pay for the rest of the three-year term. Fatih Dagdelen, a BayTech school board member who is accusing Hatipoglu of fraud, claimed in a recent email to OUSD officials that the true term of the contract was six months, not three years. Hatipoglu denies that he stole from BayTech or altered his contract. But the former principal said all the allegations about BayTech's links to the Gülen movement are true. Public records support some of Hatipoglu's claims. "The school gave Turkish teachers employment because the school applies for their visas, and when they give donations, they get to work," said Hatipoglu. "I told [BayTech's board] I'd no longer do this because there have been so many allegations, and the Turkish government is looking into it." Hatipoglu is one of the first high-level administrators of a Gülen school to describe the ways the movement allegedly extracts money from the many charter schools its followers operate. The Gülen movement is led by an elderly Turkish imam named Fethullah Gülen who lives in exile in Pennsylvania. Gülen and his thousands of followers around the world have been labeled terrorists by the Turkish government. In recent years, Turkish intelligence agents have fanned out across at least 18 nations to spy on, and sometimes seize, Gülenists and take them back to Turkey where they are jailed and tortured, according to recent reports in The New York Times and other media. Gülenists claim to be moderate Islamists concerned about the erosion of democracy and secularism under Prime Minister Erdogan's conservative government. They are pro-science and pro-capitalism, and the movement is as much a business network as it is a religious sect. Its followers wielded considerable political power in Turkey until the crackdown that followed the 2016 coup. Erdogan has accused the United States of harboring Gülen and allowing his movement to operate a network of over 100 charter schools in California, Nevada, Texas, Arizona, and other states. Altogether, Gülen-linked schools receive hundreds of millions in public funds. There have long been concerns in Oakland that BayTech is a Gülenist school, but the Oakland Unified School District never seriously investigated. Meanwhile, BayTech's administration and board members have repeatedly denied the accusations. 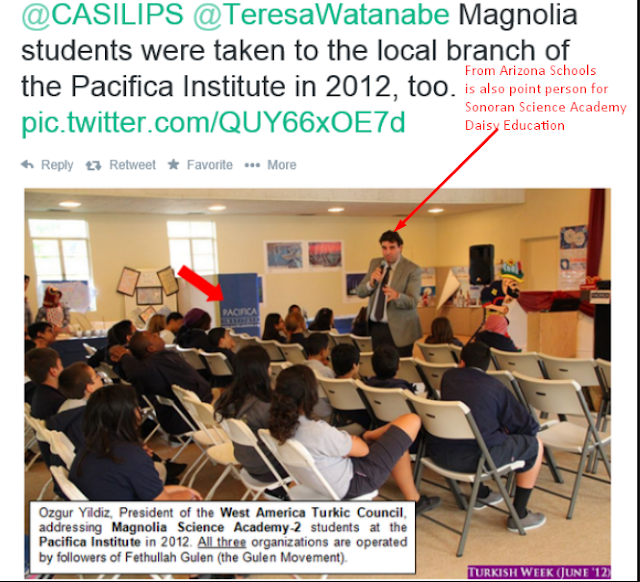 In fact, Hatipoglu even said the school had no links to the movement at an OUSD board meeting last November. And BayTech board members have called anyone who raises questions about ties to the Gülen movement "racist." But since the end of the last school year, when several senior staff and two school board members resigned, and the district began investigating, questions have emerged about whether BayTech is being used as a source of support for the Gülenists in their conflict with Erdogan's government. Hatipoglu came to BayTech in 2011 from Australia on a work visa. When asked by followers of Fethullah Gulen who are linked to the school to make a contribution to a Gülen-linked organization, he said he initially agreed. "They said Gülen was doing educational services, helping the poor and needy in Africa, dialogue, and world peace," said Hatipoglu. "Does that sound good to you? I willingly gave donations because I believe in this and didn't know it was compulsory. "When I said 'no,' I saw the ugly face," said Hatipoglu. "Before that, it was all a beautiful mask." Hatipoglu said he helped prepare visa applications for teachers, most of them from Turkey, to come work at BayTech. He said teachers were expected to make monetary contributions to Fethullah Gülen in exchange for their visa. "Turkish teachers have to donate this money to stay and work in America," said Hatipoglu. According to federal Department of Labor records, BayTech obtained at least 29 H1-B visas since 2009 to employ foreign educators, mostly from Turkey. The number of foreign teachers was unusual for a single small school. Multiple calls and emails to BayTech board members Dagdelen, Sabyrov, and Ulukoylu seeking comment about Hatipoglu's allegations regarding the school went unreturned. The three currently oversee BayTech's $4 million budget of state and federal funds. Asked at BayTech's most recent school board meeting on Aug. 6 whether they are followers of Fethullah Gülen or if the school has any links to the Gülen movement, both Dagdelen and Ulukoylu declined to comment. Hatipoglu claims that he pushed for BayTech to distance itself from the Gülen movement first by having BayTech cut ties with the Accord Institute, a nonprofit that was founded by Gülenists and sells education services to Gülen-linked charter schools. BayTech was also founded by Gülen movement members, including the current CEO of the Accord Institute, and multiple sources said BayTech paid the Accord Institute about $70,000 a year for several years for various education training services. Hatipoglu said he wanted BayTech to free itself from Accord due to bad publicity. Accord was the subject of investigations by the Los Angeles Unified School District and the California State Auditor, which established that there were conflicts of interest and weak financial controls. Accord, and a chain of Los Angeles charter schools founded by followers of Gülen, were also the subject of a story in LA Weekly that uncovered evidence that the schools were used to raise money for Fethullah Gülen. BayTech did, in fact, cut ties with Accord last year. But Hatipoglu claims that he also wanted to put an end to the practice of bringing Turkish teachers over on H1-B visas and having them contribute money to the Gülen movement. Also, he wanted to recruit directors to BayTech's board who are not followers of Fethullah Gülen. "This is where we all broke apart," said Hatipoglu. School board emails obtained by the Express reveal that BayTech director Volkan Ulukoylu was attempting to resign earlier this year and replace himself with a man name Volkan "Adam" Kaya. Ulukoylu shared a brief bio and photo of Kaya with Sabyrov, Dagdelen, Hatipoglu, and Alretta Tolbert, one of the board members who resigned after Hatipoglu left the school. Hatipoglu said that he was opposed to Kaya joining the board because Kaya has links to the Gülen movement. According to tax records, Kaya is a director of Bay Area Cultural Connections, a Sunnyvale nonprofit affiliated with the Pacifica Institute — which describes itself as an organization inspired by Fethullah Gülen. The Express was unable to reach Kaya for comment. Hatipoglu, now residing in Australia, said he's fearful because he has been identified as a Gülenist in reports in the Turkish media about BayTech's unraveling. He insisted he's innocent of defrauding the school and that the board, in fact, approved his three-year fixed-term contract on March 8 of last year. Minutes from BayTech's March 8, 2017 board meeting are missing from the school's website, a violation of the Brown Act. OUSD had warned the school about violating the state's open-meetings law. But a copy of BayTech's board minutes obtained from OUSD indicate that the board did, in fact, approve a fixed three-year term employment contract for Hatipoglu. Sabyrov, in a June 27 email to OUSD officials, wrote that the board was tricked into approving the contract and that his audio tape of the meeting shows the board thought they were voting on a six-month term, not three years. OUSD has yet to finish its investigation.